Please navigate this site by using the tabs on the left. You are currently in the Home page. You will be assigned a personal Mentor and you will be able to communicate with your mentor at pre-determined times. 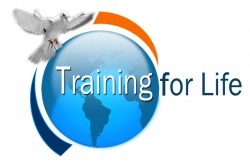 Many of you have expressed your interest in starting our new ONLINE Global Training for Life (GlobalTFL) course and because of this we are giving you the first two modules of our Foundations course ABSOLUTELY FREE! This valuable material will make sure that you have a strong foundation to build upon as you embark on the full GlobalTFL course. Please make sure that you complete the Foundations course before commencing our Global Training for Life course. You can sign up for group or solo training. Groups will be no larger than six students with a dedicated mentor. Solo students will also have a dedicated mentor. You can work at your own pace but we recommend that each semester with all three elements (audio, video and text) is completed within a ten weeks period. Solo training can start any time after the completion of the Foundations course. P.S. Please make sure that you complete the Foundations course before starting Global Training for Life. Thank you, we look forward to working with you to help you to reach your full potential and to fulfil your destiny in Christ Jesus. Residential TFL also begins with our 'Foundations' course (available in a growing number of languages) and can be done at one of our TFL Centres somewhere near you. Residential TFL is composed of five main elements of development; Spiritual, Personal, Physical, Creative and Ministerial. Today (May 22nd 2012) I received the good news that, it’s official, I am a bachelor! Don’t panic, Nancy and I are still very happily married. Please read on…. Earlier this year (2012), Rev Denis Plant, Principal of Vision InternationalCollege told me, “I am going to get a Bachelor of Theology Degree for you based on your work founded on having met you and observing your ministry over the years and, in part, seeing the work you have online and the impact that you have.” The degree is accredited through San Diego University, USA. This degree has been awarded, in the main, for the Global Training for Life Course and students who do this course can count it, if they wish, as modules towards a degree of their own with Vision International College.